After decades of armed conflict, fighting in the name of an independent Basque Country, Basque society has been tainted by violence. With more than 800 recorded deaths and thousands of injuries, the separatist organisation Euskadi Ta Askatasuna (ETA) became progressively weakened by police forces and isolated from society, until announcing a permanent ceasefire on October 20, 2011. Today, five years after the unilateral statement, the Basque Country is approaching normalcy and prosperity. Politicians, who used to be threatened and regularly accosted in the streets, can now walk freely without police protection, whilst political parties, once illegal, can now democratically debate their ideas in parliament. But Basque society still suffers under the weight of the fear and terror campaign meted out by the ETA throughout the last five decades. The unilateral statement followed a peace conference held in San Sebastian with the presence of international personalities such as Kofi Annan (former UN secretary general) and Gerry Adams (then-president of Ireland’s Sinn Fein). However, the peace process didn’t fully achieve its objectives: Madrid has continuously maintained its standpoint of refusing to officially negotiate with ETA and thus the organisation is still yet to be completely dissolved. The separatist group was founded in the late 50s, under the repressive dictatorship of Francisco Franco, which aimed to squash Basque culture and even banned the Basque language, Euskera. Nevertheless, ETA’s violent campaign for a Basque state continued after the transition to democracy following the dictator’s death in 1975. In response, during the 80s the Spanish state established paramilitary death squads to fight ETA's known Antiterrorist Liberation Group (GAL in Spanish), which further added fuel to the fire. Later on, in the 90s, the conditions of ETA prisoners came to the forefront of the armed group's priorities, criticising Madrid's policy of condemning prisoners to jails dispersed away from the Basque Country. In 1997, ETA kidnapped Miguel Ángel Blanco, a young local politician representing the conservative Popular Party (PP) in the small town of Ermua. The group demanded that the Spanish Government transfer all ETA convicts to prisons in the Basque Country within 48 hours. The ransom was refused. Consequently, demonstrations flared up around the whole of Spain protesting for the release of Miguel Ángel, but ETA ignored the public outrage of its actions and shot the 29-year old politician twice in the head. 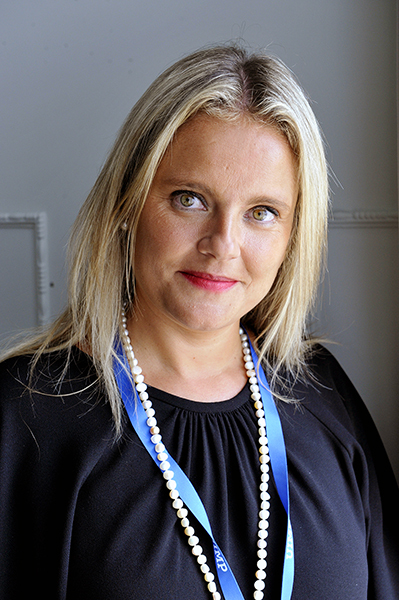 In June his younger sister, Mari Mar Blanco, was elected as an MP in the Spanish parliament for PP and is also the president of the Association of Victims of Terrorism. “The end of terrorism does not just signify the end of killing, it also means the cessation of any form of legitimate or justified violence,” she tells Fair Planet. Mari Mar completely rejects the idea of the “Basque conflict”, which implies a struggle between two equal sides. For her, ETA were purely “criminals trying to impose by force their political project, killing innocent people who thought differently”. That’s why she remarks that victims “will not give up the fight for justice, for all the innocent bloodshed can not be forgotten or go unpunished”. Regarding abertzale left (the historic political wing of ETA) Mari Mar is critical that “they avoid condemning the group’s crimes” and never “have they demanded the handing in of arms”. The new independent left-wing political party, EH Bildu, was refinanced and legalised in 2011, having been banned for eight years by Spanish institutions. They assumed a viewpoint that democracy was the only path and that the “armed violence of ETA had to be removed from the political debate” states Arnaldo Otegi, the historic leader, recently released from jail. The modernised vision of the party has wielded a fair degree of success, having achieved second position in the last regional elections held in the Basque Country in September, winning 21% of the votes. Today, the atmosphere in the Basque Country is stabilising as the issue of terrorism is no longer such a taboo subject. “The situation is changing, driven from the bottom-up in society rather than a top-down process”, says Iker Usón, professor at the Basque University of Deusto. He collaborates with a project launched last year by the Basque regional government (controlled by the Basque Nationalist Party) that aims to raise the subject of terrorism at universities. He is pleased to declare that students can now discuss the topic with less hostility than previous generations. “Young people focus more on the nuts and bolts of the human rights subject,” he says, “rather than being concerned about where one stands on the political spectrum". Mari Mar Blanco, was in June elected to become an MP in the Spanish parliament for PP and is also the president of the Association of Victims of Terrorism.